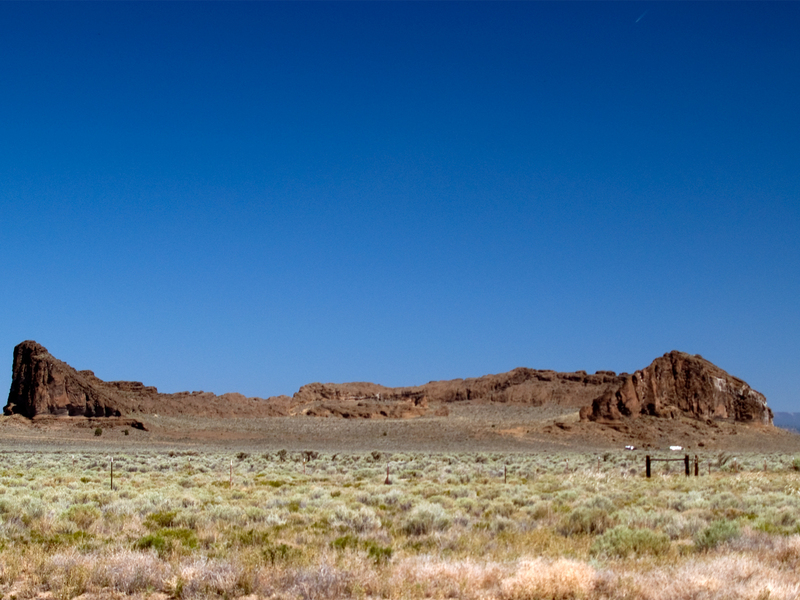 Fort Rock is one Oregon’s geologic treasures. Created between 50,000 to 100,000 years ago from lava venting into the muddy bottom of what is now called Fort Rock Lake. The resulting steam explosion threw ash and basalt particles up into the air which rained down in a circular formation around the vent. The explosion also caused huge basalt blocks to thrust upwards. This is actually fairly common in central Oregon as about 40 of these formations exist as far north as John Day, Oregon. The days of explosive lava are long over, but the area has significant historical importance. In 1936 Dr. Luther Cressman from the University of Oregon found sage brush sandals that dated back 9300 years. At the time this turned the Archeology world on it’s head as up until then humans were only thought to have been on the North American continent 5000 years ago. Across the street in the town of Fort Rock is the Fort Rock Valley Historical Homestead Museum. 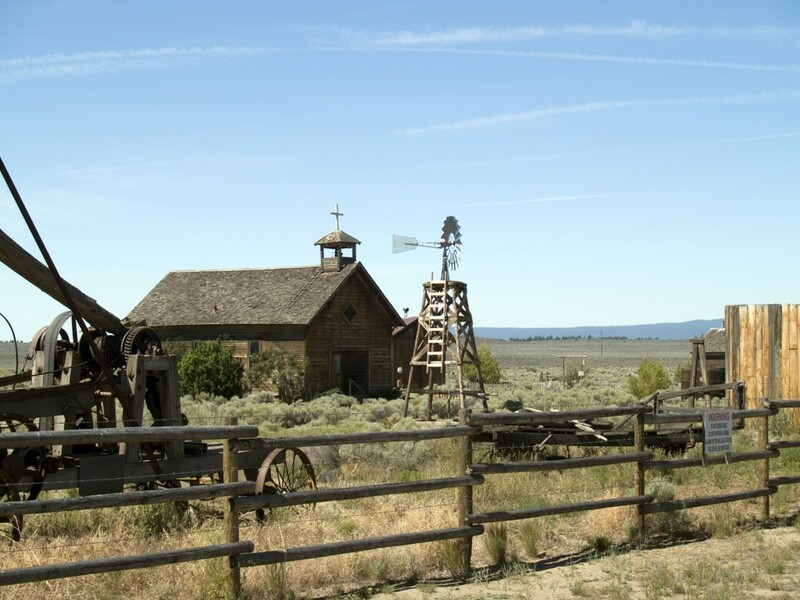 The museum was created to save several old homestead buildings from various ghost towns and abandoned farms in the areas from being destroyed. Each building was taken apart, moved to the museum and restored. Most of the buildings now have mini-museums in them showing artifacts from daily life in the era. In addition to several log cabins, there is a church, a Doctor’s Office and a one room school house. Unfortunately the museum itself has been closed every time I’ve been by it. This area is within a day’s drive of Portland and several nearby camp grounds provide over night opportunities. The museum and Fort Rock itself along with the famous Sandal Cave would easily take an entire day to explore. Nearby geological formations like South Ice Cave and Crack in the Ground would be great for a home school history/geology trip.